２７． DeAnda A, Komeda M, Nikolic SD, Daughters GT, Ingels NB, Miller DC. Left Ventricular Function, Twist, and Recoil After Mitral Valve Replacement. Circulation 1995;92[suppl II]:II-458-466. ５５． Buxton B, Komeda M, Fuller JJA. 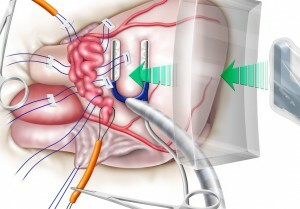 Bilateral Internal Thoracic Artery Grafting May Improve Outcome of Coronary Artery Surgery. Circulation 1998;98:II 1-6. １４６．Kawamura T, Hasegawa K, Morimoto T, Iwakura A, Nishina T, Nomoto T, Komeda M. Down-regulation of Endothelin-1 and Alteration of Apoptosis Signaling Following Left Ventricular Volume Reduction Surgery in Heart Failure of Adult Rats. J Cardiovasc Pharmacol. 2004 Nov;44 Suppl 1:S366-71. １４８．Ikai A, Shirai M, Nishimura K, Ikeda T, Kameyama T, Ueyama K, Komeda M. Maintenance of pulmonary vasculature tone by blood derived from the inferior vena cava in a rabbit model of cavopulmonary shunt.J Thorac Cardiovasc Surg. 2005 Jan;129(1):199-206. １４９．Marui A, Kanematsu A, Yamahara K, Doi K, Kushibiki T, Yamamoto M, Itoh H, Ikeda T, Tabata Y, Komeda M. Simultaneous application of basic fibroblast growth factor and hepatocyte growth factor to enhance the blood vessels formation.J Vasc Surg. 2005 Jan;41(1):82-90. １５０．Yamamuro M, Tadamura E, Kubo S, Toyoda H, Nishina T, Ohba M, Hosokawa R, Kimura T, Tamaki N, Komeda M, Kita T, Konishi J. Cardiac functional analysis with multi-detector row CT and segmental reconstruction algorithm: comparison with echocardiography, SPECT, and MR imaging.Radiology. 2005 Feb;234(2):381-90. １５１．Torrent-Guasp F, Kocica MJ, Corno AF, Komeda M, Carreras-Costa F, Flotats A, Cosin-Aguillar J, Wen H. Towards new understanding of the heart structure and function.Eur J Cardiothorac Surg. 2005 Feb;27(2):191-201. Review. 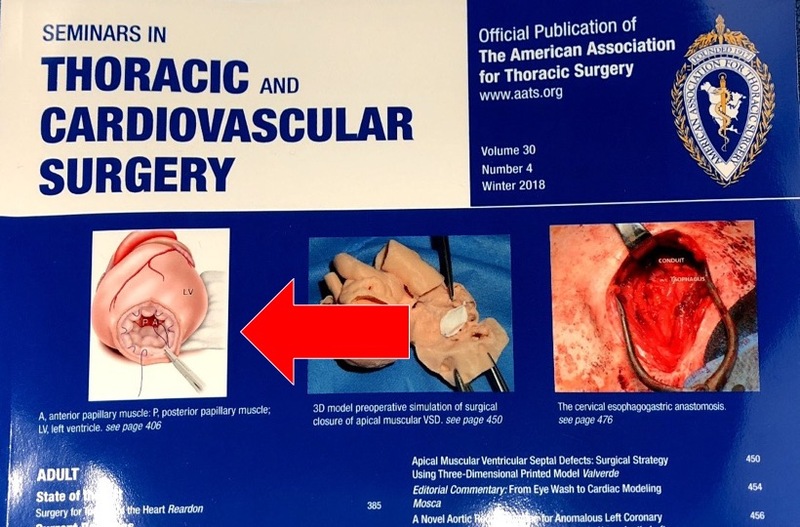 １５２.Tsuneyoshi H, Oriyanhan W, Kanemitsu H, Shiina R, Nishina T, Ikeda T, Nishimura K, Komeda M. Heterotopic transplantation of the failing rat heart as a model of left ventricular mechanical unloading toward recovery.ASAIO J. 2005 Jan-Feb;51(1):116-20. １５３．Chen F, Fukuse T, Hasegawa S, Bando T, Hanaoka N, Kawashima M, Sakai H, Komeda M, Wada H. Living-donor lobar lung transplantation for pulmonary and abdominopelvic lymphangioleiomyomatosis.Thorac Cardiovasc Surg. 2005 Apr;53(2):125-7. １５４．Terai H, Tamura N, Yuasa S, Nakamura T, Shimizu Y, Komeda M. An experimental model of Stanford type B aortic dissection.J Vasc Interv Radiol. 2005 Apr;16(4):515-9. １５５．Sakaguchi G, Tambara K, Sakakibara Y, Ozeki M, Yamamoto M, Premaratne G, Lin X, Hasegawa K, Tabata Y, Nishimura K, Komeda M. Control-released hepatocyte growth factor prevents the progression of heart failure in stroke-prone spontaneously hypertensive rats. Ann Thorac Surg. 2005 May;79(5):1627-34. １５６．Butany J, Leong SW, Carmichael K, Komeda M. A 30-year analysis of cardiac neoplasms at autopsy. Can J Cardiol. 2005 Jun;21(8):675-80. １５７．Tambara K, Premaratne GU, Sakaguchi G, Kanemitsu N, Lin X, Nakajima H, Sakakibara Y, Kimura Y, Yamamoto M, Tabata Y, Ikeda T, Komeda M. Administration of control-released hepatocyte growth factor enhances the efficacy of skeletal myoblast transplantation in rat infarcted hearts by greatly increasing both quantity and quality of the graft.Circulation. 2005 Aug 30;112(9 Suppl):I129-34. １５８．Tsuneyoshi H, Oriyanhan W, Kanemitsu H, Shiina R, Nishina T, Matsuoka S, Ikeda T, Komeda M. Does the beta2-agonist clenbuterol help to maintain myocardial potential to recover during mechanical unloading? Circulation. 2005 Aug 30;112(9 Suppl):I51-6. １６０．Koyama T, Nishina T, Ono N, Sakakibara Y, Nemoto S, Ikeda T, Komeda M. Early and mid-term results of left ventricular volume reduction surgery for dilated cardiomyopathy.J Card Surg. 2005 Nov-Dec;20(6):S39-42. １６１．Kawaguchi AT, Suma H, Konertz W, Gradinac S, Bergsland J, Dowling RD, Komeda M, Kitamura S, Ohashi H, Chang BC, Linde LM, Batista RJ; International and Regional Registry Task Force, The Society for Cardiac Volume Reduction. Left ventricular volume reduction surgery: The 4th International Registry Report 2004.J Card Surg. 2005 Nov-Dec;20(6):S5-11. １６２．Oriyanhan W, Yamazaki K, Miwa S, Takaba K, Ikeda T, Komeda M. Taurine prevents myocardial ischemia/reperfusion-induced oxidative stress and apoptosis in prolonged hypothermic rat heart preservation.Heart Vessels. 2005 Nov;20(6):278-85. １６３．Komeda M. Volume reduction surgery for dilated left ventricle–is it time for another progress report? J Card Surg. 2005 Nov-Dec;20(6):S3-4. １６４．Tsuneyoshi H, Komeda M. Update on mitral valve surgery. J Artif Organs. 2005;8(4):222-7. Review. １６６．Oriyanhan W, Miyamoto TA, Yamazaki K, Miwa S, Takaba K, Ikeda T, Komeda M. Regionally perfused taurine. Part I. Minimizes lactic acidosis and preserves CKMB and myocardial contractility after ischemia/reperfusion. Adv Exp Med Biol. 2006;583:271-88. １６７．Soga Y, Takai S, Okabayashi H, Nagasawa A, Yokota T, Nishimura K, Miyazaki M, Komeda M. Human gastroepiploic artery has greater chymase activity than the internal thoracic artery. Eur J Cardiothorac Surg. 2006 Dec;30(6):877-80. Epub 2006 Oct 27. １６８．Yamamuro M, Tadamura E, Kanao S, Okayama S, Okamoto J, Urayama S, Kimura T, Komeda M, Kita T, Togashi K. Cardiac functional analysis by free-breath real-time cine CMR with a spatiotemporal filtering method, TSENSE: comparison with breath-hold cine CMR.J Cardiovasc Magn Reson. 2006;8(6):801-7. 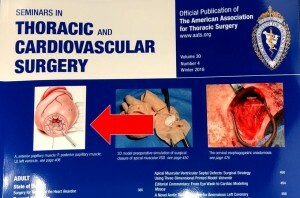 １６９．Marui A, Nishina T, Tambara K, Saji Y, Shimamoto T, Nishioka M, Ikeda T, Komeda M. A novel atrial volume reduction technique to enhance the Cox maze procedure: initial results. J Thorac Cardiovasc Surg. 2006 Nov;132(5):1047-53. １７０．Kanemitsu N, Tambara K, Premaratne GU, Kimura Y, Tomita S, Kawamura T, Hasegawa K, Tabata Y, Komeda M. Insulin-like growth factor-1 enhances the efficacy of myoblast transplantation with its multiple functions in the chronic myocardial infarction rat model. J Heart Lung Transplant. 2006 Oct;25(10):1253-62. Epub 2006 Sep 7. １７１．Takaba K, Jiang C, Nemoto S, Saji Y, Ikeda T, Urayama S, Azuma T, Hokugo A, Tsutsumi S, Tabata Y, Komeda M. A combination of omental flap and growth factor therapy induces arteriogenesis and increases myocardial perfusion in chronic myocardial ischemia: evolving concept of biologic coronary artery bypass grafting. J Thorac Cardiovasc Surg. 2006 Oct;132(4):891-99. Epub 2006 Aug 30. １７２．Hirose K, Fujita M, Marui A, Arai Y, Sakaguchi H, Huang Y, Chandra S, Tabata Y, Komeda M. Combined treatment of sustained-release basic fibroblast growth factor and sarpogrelate enhances collateral blood flow effectively in rabbit hindlimb ischemia.Circ J. 2006 Sep;70(9):1190-4. １７３．Premaratne GU, Tambara K, Fujita M, Lin X, Kanemitsu N, Tomita S, Sakaguchi G, Nakajima H, Ikeda T, Komeda M. Repeated implantation is a more effective cell delivery method in skeletal myoblast transplantation for rat myocardial infarction.Circ J. 2006 Sep;70(9):1184-9. １７４．Hirose K, Marui A, Arai Y, Nomura T, Inoue S, Kaneda K, Kamitani T, Fujita M, Mitsuyama M, Tabata Y, Komeda M. Sustained-release vancomycin sheet may help to prevent prosthetic graft methicillin-resistant Staphylococcus aureus infection.J Vasc Surg. 2006 Aug;44(2):377-82. １７５．Kubo S, Tadamura E, Yamamuro M, Hosokawa R, Kimura T, Kita T, Komeda M, Togashi K. Thoracoabdominal-aortoiliac MDCT angiography using reduced dose of contrast material.AJR Am J Roentgenol. 2006 Aug;187(2):548-54. １７６．Kanemitsu H, Takai S, Tsuneyoshi H, Nishina T, Yoshikawa K, Miyazaki M, Ikeda T, Komeda M. Chymase inhibition prevents cardiac fibrosis and dysfunction after myocardial infarction in rats.Hypertens Res. 2006 Jan;29(1):57-64. １７７．Marui A, Hirose K, Maruyama T, Arai Y, Huang Y, Doi K, Ikeda T, Komeda M. Prostaglandin E2 EP4 receptor-selective agonist facilitates sternal healing after harvesting bilateral internal thoracic arteries in diabetic rats.J Thorac Cardiovasc Surg. 2006 Mar;131(3):587-93. １７９．Nakajima H, Yamanaka K, Horii T, Nishina T, Ikeda T, Komeda M. A more comprehensive left ventricular repair for severely dilated cardiomyopathy. J Card Surg. 2006 Jan-Feb;21(1):62-4; discussion 65. １８１．Nakao M, Kuroda T, Oyama H, Sakaguchi G, Komeda M. Physics-based simulation of surgical fields for preoperative strategic planning. J Med SystJ 2006;30(5):371-80. １８２．Lin X, Fujita M, Kanemitsu N, Kimura Y, Tambara K, Premaratne GU, Nagasawa A, Ikeda T, Tabata Y, Komeda M. Sustained-release erythropoietin ameliorates cardiac function in infarcted rat-heart without inducing polycythemia. Circ J. 2007 Jan;71(1):132-7. 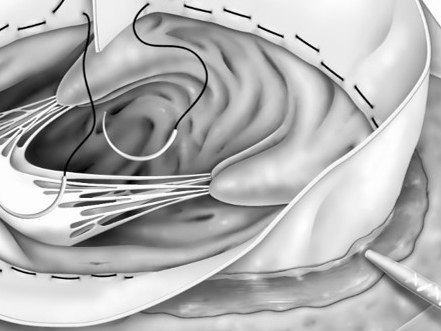 １８３．Morishima A, Marui A, Shimamoto T, Saji Y, Tambara K, Nishina T, Komeda M. Successful aortic valve replacement for Heyde syndrome with confirmed hematologic recovery.Ann Thorac Surg. 2007 Jan;83(1):287-8. １８４．Nemoto S, Umehara E, Ikeda T, Itonaga T, Komeda M. Oral sildenafil ameliorates impaired pulmonary circulation early after bidirectional cavopulmonary shunt.Ann Thorac Surg. 2007 May;83(5):e11-3. １８５．Yamamuro M, Tadamura E, Kanao S, Wu YW, Tambara K, Komeda M, Toma M, Kimura T, Kita T, Togashi K. Coronary angiography by 64-detector row computed tomography using low dose of contrast material with saline chaser: influence of total injection volume on vessel attenuation. J Comput Assist Tomogr. 2007 Mar-Apr;31(2):272-80. １８６．Doi K, Ikeda T, Marui A, Kushibiki T, Arai Y, Hirose K, Soga Y, Iwakura A, Ueyama K, Yamahara K, Itoh H, Nishimura K, Tabata Y, Komeda M. Enhanced angiogenesis by gelatin hydrogels incorporating basic fibroblast growth factor in rabbit model of hind limb ischemia. Heart Vessels. 2007 Mar;22(2):104-8. Epub 2007 Mar 23. １８７．Fukuoka M, Nonaka M, Masuyama S, Shimamoto T, Tambara K, Yoshida H, Ikeda T, Komeda M. Chordal “translocation” for functional mitral regurgitation with severe valve tenting: an effort to preserve left ventricular structure and function. J Thorac Cardiovasc Surg. 2007 Apr;133(4):1004-11. Epub 2007 Feb 26. １８９．Arai Y, Fujita M, Marui A, Hirose K, Sakaguchi H, Ikeda T, Tabata Y, Komeda M. Combined treatment with sustained-release basic fibroblast growth factor and heparin enhances neovascularization in hypercholesterolemic mouse hindlimb ischemia.Circ J. 2007 Mar;71(3):412-7. １９０．Oriyanhan W, Tsuneyoshi H, Nishina T, Matsuoka S, Ikeda T, Komeda M. Determination of optimal duration of mechanical unloading for failing hearts to achieve bridge to recovery in a rat heterotopic heart transplantation model.J Heart Lung Transplant. 2007 Jan;26(1):16-23. １９２．Koyama T, Soga Y, Unimonh O, Nishimura K, Komeda M. Mitral annuloplasty as a ventricular restoration method for the failing left ventricle— A pilot study J Heart Valve Dis. 2007 Mar;16(2):195-9. 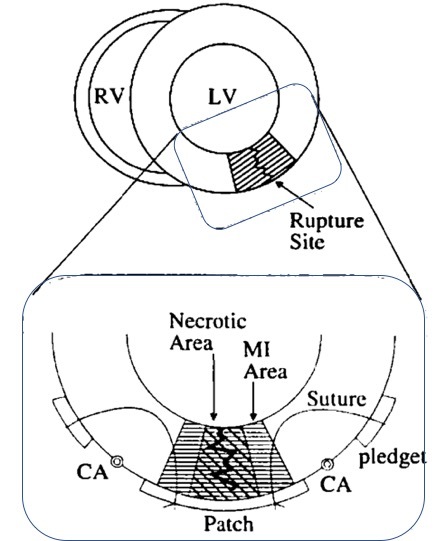 １９４．Shimamoto T, Tambara K, Marui A, Yamanaka K, Komeda M. LV restoration surgery for isolated left ventricular noncompaction (LVNC) — report of the first successful case. (letter) J Thorac Cardiovasc Surg 2007 Jul;134(1):246-7. １９５．Marui A, Tabata Y, Kojima S, Yamamoto M, Tambara K, Nishina T, Saji Y, Inui K, Hashida T, Yokoyama S, Onodera R, Ikeda T, Fukushima M, Komeda M. A novel approach to therapeutic angiogenesis for patients with critical limb ischemia by sustained release of basic fibroblast growth factor using biodegradable gelatin hydrogel: an initial report of the phase I-IIa study. Circ J. 2007 Aug;71(8):1181-6. 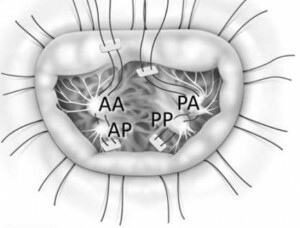 １９６．Marui A, Tambara K, Tadamura E, Saji Y, Sasahashi N, Ikeda T, Nishina T, Komeda M.A novel approach to restore atrial function after the maze procedure in patients with an enlarged left atrium. Eur J Cardiothorac Surg. 2007 Aug;32(2):308-12. Epub 2007 Jun 18. １９６．Soga Y, Takai S, Koyama T, Okamoto Y, Ikeda T, Nishimura K, Miyazaki M, Komeda M. Attenuating effects of chymase inhibitor on pericardial adhesion following cardiac surgery. J Card Surg. 2007 Jul-Aug;22(4):343-7. ２００．Kubo S, Tadamura E, Yamamuro M, Kanao S, Kataoka ML, Takahashi M, Kimura T, Kita T, Komeda M, Togashi K. Multidetector-row computed tomographic angiography of thoracic and abdominal aortic aneurysms: comparison of arterial enhancement with 3 different doses of contrast material. J Comput Assist Tomogr. 2007 May-Jun;31(3):422-9. ２０１．Baba S, Heike T, Yoshimoto M, Umeda K, Doi H, Iwasa T, Lin X, Matsuoka S, Komeda M, Nakahata T. Flk1(+) cardiac stem/progenitor cells derived from embryonic stem cells improve cardiac function in a dilated cardiomyopathy mouse model.Cardiovasc Res. 2007 Oct 1;76(1):119-31. Epub 2007 May 17. ２０２．Chin K, Takahashi K, Ohmori K, Toru I, Matsumoto H, Niimi A, Doi H, Ikeda T, Nakahata T, Komeda M, Mishima M. Noninvasive ventilation for pediatric patients under 1 year of age after cardiac surgery. J Thorac Cardiovasc Surg. 2007 Jul;134(1):260-1. ２０３．Wu YW, Tadamura E, Yamamuro M, Kanao S, Marui A, Tanabara K, Komeda M, Togashi K.Comparison of contrast-enhanced MRI with (18)F-FDG PET/201Tl SPECT in dysfunctional myocardium: relation to early functional outcome after surgical revascularization in chronic ischemic heart disease. J Nucl Med. 2007 Jul;48(7):1096-103. ２０５．Hirose K, Marui A, Arai Y, Nomura T, Kaneda K, Kimura Y, Ikeda T, Fujita M, Mitsuyama M, Tabata Y, Komeda M. A novel approach to reduce catheter-related infection using sustained-release basic fibroblast growth factor for tissue regeneration in mice. Heart Vessels. 2007 Jul;22(4):261-7. Epub 2007 Jul 20. ２０６．Hirose K, Marui A, Arai Y, Fujita M, Nomura T, Mitsuyama M, Tabata Y, Komeda M.Sustained-release form of basic fibroblast growth factor prevents catheter-related bacterial invasion in mice. Interact Cardiovasc Thorac Surg. 2005 Dec;4(6):526-30. Epub 2005 Sep 15. ２０７．Sasahashi N, Harada H, Saji Y, Marui A, Nishina T, Komeda M. Aortic valve replacement for aortic regurgitation in a patient with antiphospholipid antibody syndrome. Gen Thorac Cardiovasc Surg. 2007 Jul;55(7):293-6. ２０９． Handa N, Magata Y, Mukai T, Nishina T, Konishi J, Komeda M. Quantitative FDG-uptake by positron emission tomography in progressive hypertrophy of rat hearts in vivo. Ann Nucl Med. 2007;21:569-76. Epub 2007 Dec 25. ２１０．Kanemitsu H, Takai S, Tsuneyoshi H, Yoshikawa E, Nishina T, Miyazaki M, Ikeda T, Komeda M. Chronic chymase inhibition preserves cardiac function after left ventricular repair in rats. Eur J Cardiothorac Surg 2008;33:25-31. Epub 2007 Nov 28. ２１２．Esaki J, Marui A, Tabata Y, Komeda M. Controlled release systems of angiogenic growth factors for cardiovascular diseases. Expert Opin Drug Deliv. 2007 Nov;4(6):635-49. ２１３．Wu YW, Tadamura E, Kanao S, Yamamuro M, Okayama S, Ozasa N, Toma M, Kimura T, Kita T, Marui A, Komeda M, Togashi K. Left Ventricular Functional Analysis Using 64-Slice Multidetector Row Computed Tomography: Comparison with Left Ventriculography and Cardiovascular Magnetic Resonance. Cardiology. 2008;109(2):135-42. Epub 2007 Aug 22. ２１４．Sakaguchi H, Marui A, Hirose K, Nomura T, Arai Y, Bir SC, Huang Y, Esaki J, Tabata Y, Ikeda T, Komeda M.　Less-invasive and highly effective method for preventing methicillin-resistant Staphylococcus aureus graft infection by local sustained release of vancomycin. J Thorac Cardiovasc Surg. 2008;135:25-31. ２１５．Marui A, Saji Y, Nishina T, Tadamura E, Kanao S, Shimamoto T, Sasahashi N, Ikeda T, Komeda M. Impact of left atrial volume reduction concomitant with atrial fibrillation surgery on left atrial geometry and mechanical function. J Thorac Cardiovasc Surg 2008;135:1297-305. Epub 2008 May 5. ２１６．Shimamoto T, Marui A, Takagi T, Komeda M. Significance of morphological and electrophysiological left ventricular restoration in idiopathic dilated cardiomyopathy. Interact Cardiovasc Thorac Surg. 2008;7:931-2. Epub 2008 Jun 6. ２１７．Shimamoto T, Marui A, Oda M, Tomita S, Nakajima H, Takeuchi T, Komeda M. A case of peripartum cardiomyopathy with recurrent left ventricular apical thrombus. Circ J. 2008;72:853-4. ２１８．Komeda M. Treatment of atrial fibrillation: is it really going to be a surgical market? Ann Thorac Cardiovasc Surg (Editorial) 2008;14:63-5. ２１９．Bir SC, Fujita M, Marui A, Hirose K, Arai Y, Sakaguchi H, Huang Y, Esaki J, Ikeda T, Tabata Y, Komeda M. New therapeutic approach for impaired arteriogenesis in diabetic mouse hindlimb ischemia. Circ J. 2008;72:633-40. ２２０．Morimoto T, Sunagawa Y, Kawamura T, Takaya T, Wada H, Nagasawa A, Komeda M, Fujita M, Shimatsu A, Kita T, Hasegawa K. The dietary compound curcumin inhibits p300 histone acetyltransferase activity and prevents heart failure in rats. J Clin Invest. 2008;118:868-78. 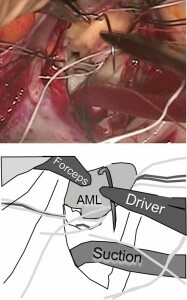 ２２１．Masuyama S, Marui A, Shimamoto T, Komeda M.　Reversed L-shaped deformity of the anterior mitral leaflet and its reparative technique. J Thorac Cardiovasc Surg. 2008 Dec;136(6):1599-601. ２２２．Takehara N, Tsutsumi Y, Tateishi K, Ogata T, Tanaka H, Ueyama T, Takahashi T, Takamatsu T, Fukushima M, Komeda M, Yamagishi M, Yaku H, Tabata Y, Matsubara H, Oh H.　Controlled delivery of basic fibroblast growth factor promotes human　cardiosphere-derived cell engraftment to enhance cardiac repair for chronic myocardial infarction. J Am Coll Cardiol. 2008 Dec　2;52(23):1858-65. ２２３．Hirose K, Marui A, Arai Y, Kushibiki T, Kimura Y, Sakaguchi H, Yuang H, Chandra BI, Ikeda T, Amano S, Tabata Y, Komeda M.　Novel approach with intratracheal administration of microgelatin hydrogel microspheres incorporating basic fibroblast growth factor for rescue of rats with monocrotaline-induced pulmonary hypertension. J Thorac Cardiovasc Surg. 2008 Nov;136(5):1250-6. Epub 2008 Sep 19. ２２４．Shimamoto T, Marui A, Nishina T, Saji Y, Komeda M.　The TachoSil-Pledget stitch: towards eradication of suture hole bleeding. Ann Thorac Surg. 2008 Dec;86(6):2002-4. ２２５．Masuyama S, Marui A, Shimamoto T, Nonaka M, Tsukiji M, Watanabe N, Ikeda T, Yoshida K, Komeda M.　Chordal translocation for ischemic mitral regurgitation may ameliorate tethering of the posterior and anterior mitral leaflets. J Thorac Cardiovasc Surg. 2008 Oct;136(4):868-75. ２２６．Shimamoto T, Marui A, Nishina T, Komeda M.　To-and-fro pattern: an indication of flow competition or a sign of incompetent coronary anastomosis? Interact Cardiovasc Thorac Surg. 2009;8:155-6. Epub 2008 Sep 30. 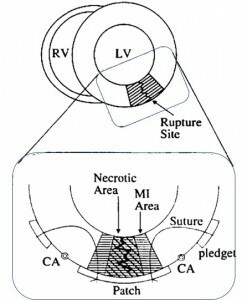 ２２７．Shimamoto T, Marui A, Saji Y, Komeda M.　Infarction-exclusion technique with the on-pump beating heart approach for ventricular septal perforation. Interact Cardiovasc Thorac Surg. 2008 Dec;7(6):1207-9. ２２８．Huang Y, Marui A, Sakaguchi H, Esaki J, Arai Y, Hirose K, Bir SC, Horiuchi H, Maruyama T, Ikeda T, Tabata Y, Komeda M.　Sustained release of prostaglandin E1 potentiates the impaired therapeutic angiogenesis by basic fibroblast growth factor in diabetic murine hindlimb ischemia. Circ J. 2008 Oct;72(10):1693-9. Epub 2008 Sep 1. ２２９．Nakajima H, Sakakibara Y, Tambara K, Marui A, Yoshimoto M, Premaratne GU, Lin X, Kanemitsu N, Sakaguchi G, Ikeda T, Nishimura K, Nakahata T, Komeda M.　Delivery route in bone marrow cell transplantation should be optimized according to the etiology of heart disease. Circ J. 2008 Sep;72(9):1528-35. ２３０．Nonaka M, Marui A, Fukuoka M, Shimamoto T, Masuyama S, Ikeda T, Komeda M.　Differences in mitral valve-left ventricle dimensions between a beating heart and during saline injection test. Eur J Cardiothorac Surg. 2008 Oct;34(4):755-9. ２３１．Tsukashita M, Marui A, Nishina T, Yoshikawa E, Kanemitsu H, Wang J, Ikeda T, Komeda M.　Spironolactone alleviates late cardiac remodeling after left ventricular restoration surgery. J Thorac Cardiovasc Surg. 2008 Jul;136(1):58-64. 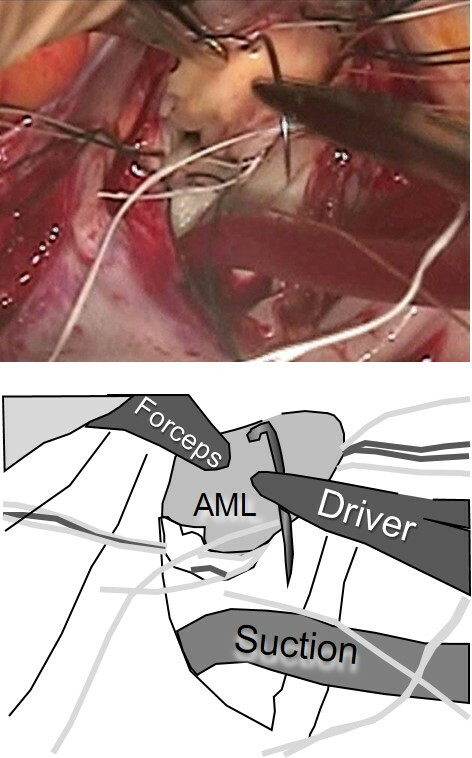 ２３２．Komeda M, Shimamoto T.　Cutting secondary chordae and placing dual taut stitches between the anterior mitral fibrous annulus and the heads of each papillary muscle to treat ischemic mitral regurgitation without deteriorating left ventricular function. J Thorac Cardiovasc Surg. 2008 Jan;135(1):226-7. 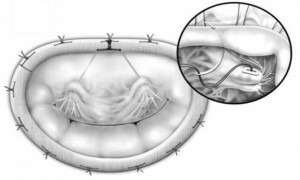 ２３３．Marui A, Hirose K, Sakaguchi H, Arai Y, Doi K, Tsukashita M, Shimamoto T, Ikeda T, Komeda M.　A potential of autologous pericardium for a sustained-release carrier of vancomycin: a pilot study in vitro. J Thorac Cardiovasc Surg 2009;137:783-4. Epub 2008 Jun 2. ２３５．Shimamoto T, Nishina T, Marui A, Komeda M. Dual left ventricular restorations in a patient with cardiac sarcoidosis. J Thorac Cardiovasc Surg 2009;137:1286-8. Epub 2008 Jun 2. ２３６．Masuyama S, Marui A, Shimamoto T, Komeda M. Chordal translocation: secondary chordal cutting in conjunction with artificial chordae for preserving valvular-ventricular interaction in the treatment of functional mitral regurgitation. J Heart Valve Dis. 2009 Mar;18(2):142-6. ２３７．Yamazaki K, Miwa S, Toyokuni S, Nemoto S, Oriyanhan W, Takaba K, Saji Y, Marui A, Nishina T, Ikeda T, Komeda M.　Effect of edaravone, a novel free radical scavenger, supplemented to cardioplegia on myocardial function after cardioplegic arrest: in vitro study of isolated rat heart. Heart Vessels. 2009 May;24(3):228-35. Epub 2009 May 24. ２３９．Morishima A, Marui A, Shimamoto T, Saji Y, Nishina T, Komeda M. A case of interleukin-6-producing cardiac myxoma resembling multicentric Castleman’s disease. J Thorac Cardiovasc Surg. 2009 Aug;138(2):499-501. Epub 2008 Aug 30. ２４０．Shimamoto T, Marui A, Nishina T, Saji Y, Komeda M.
A novel method for reconstructing the sinus and annulus for the treatment of annuloaortic ectasia. J Thorac Cardiovasc Surg 2009;138:1244-6 Epub 2009 Apr 16. ２４２．Komeda M, Marui A, Tambara K, Yamamoto M, Saji Y, Nishina T, Tabata Y. Biologic anastomosis: the first case of biologic coronary bypass surgery. J Thorac Cardiovasc Surg. 2009;138:775-7. Epub 2008 Sep 18. ２４３．Nishina T, Shimamoto T, Marui A, Komeda M. Impact of apex-sparing partial left ventriculectomy on left ventricular geometry, function, and long-term survival of patients with end-stage dilated cardiomyopathy. J Card Surg. 2009 Sep-Oct;24(5):499-502. ２４４．Baba S, Doi H, Ikeda T, Komeda M, Nakahata T. A long-term follow-up of a girl with dilated cardiomyopathy after mitral valve replacement and septal anterior ventricular exclusion. J Cardiothorac Surg. 2009 Sep 23;4:53. ２４６．Furukawa Y, Ehara N, Taniguchi R, Haruna Y, Ozasa N, Saito N, Doi T, Hoshino K, Tamura T, Shizuta S, Abe M, Toma M, Morimoto T, Teramukai S, Fukushima M, Kita T, Kimura T; CREDO-Kyoto Investigators. Coronary risk factor profile and prognostic factors for young Japanese patients undergoing coronary revascularization. Circ J. 2009 Aug;73(8):1459-65. Epub 2009 Jun 16. ２４７．Furukawa Y, Taniguchi R, Ehara N, Ozasa N, Haruna Y, Saito N, Doi T, Hoshino K, Shizuta S, Morimoto T, Imai Y, Teramukai S, Fukushima M, Kita T, Kimura T; CREDO-Kyoto Investigators. Better survival with statin administration after revascularization therapy in Japanese patients with coronary artery disease: perspectives from the CREDO-Kyoto registry. Circ J. 2008 Dec;72(12):1937-45. Epub 2008 Oct 24. ２４８．Butany J, Leong SW, Carmichael K, Komeda M. A 30-year analysis of cardiac neoplasms at autopsy. Can J Cardiol 2005;21:675-80. Comment in: Can J Cardiol. 2006 Jan;22(1):80. ２５１．Kohsaka S, Kimura T, Goto M, Lee VV, Elayda M, Furukawa Y, Fukushima M, Komeda M, Sakata R, Willerson JT, Wilson JM, Kita T. Difference in patient profiles and outcomes in Japanese versus American patients undergoing coronary revascularization (collaborative study by CREDO-Kyoto and the Texas Heart Institute Research Database). Am J Cardiol 2010;105:1698-704 Epub 2010 May 4. ２５２．Funakoshi S, Furukawa Y, Ehara N, Morimoto T, Kaji S, Yamamuro A, Kinoshita M, Kitai T, Kim K, Tani T, Kobori A, Nasu M, Okada Y, Kita T, Kimura T; CREDO-Kyoto Investigators. Clinical characteristics and outcomes of Japanese women undergoing coronary revascularization therapy. ２５３．Koyama Y, Fukaya S, Kitamura H, Komeda M.　Surgical repair of both atrioventricular valves in congenitally corrected transposition of the great arteries with de xtrocardia. J Thorac Cardiovasc Surg. 2011;142:e135-6. ２５４．Yamazaki K, Tanaka S, Sakata R, Miwa S, Oriyanhan W, Takaba K, Minakata K, Marui A, Ikeda T, Toyokuni S, Komeda M, Ueda K.
Protective effect of cardioplegia with poly (ADP-ribose) polymerase-1 inhibitor against myocardial ischemia-reperfusion injury: in vitro study of isolated rat heart model. J Enzyme Inhib Med Chem. 2013;28:143-7. ２５５．Kohsaka S, Goto M, Nagai T, Lee VV, Elayda M, Furukawa Y, Fukushima M, Komeda M, Sakata R, Ohsugi M, Fukuda K, Wilson JM, Kita T, Kimura T.
Impact of diabetes among revascularized patients in Japan and the U.S.
２５６．Obase K, Komeda M, Okura H, Yoshida K.　A new echocardiographic window to visualize the mitral valve complex during mitral valve repair for functional mitral regurgitation. J Thorac Cardiovas c Surg. 2012;143:e42-4. ２５７．Komeda M, Koyama Y, Fukaya S, Kitamura H.　Papillary heads “optimization” in repairing functional mitral regurgitation. J Thorac Cardiovasc Surg. 2012;144:1262-4. ２５８．Obase K, Komeda M, Saito K, Tamada T, Fukuhara K, Koyama T, Kume T, Hayashida A, Okura H, Yoshida K.　Visualization of Submitral Structure by Three-Dimensional Transesophageal Echocardiography. Echocardiography. 2013: 10.1111/echo.12154. ２５９．Komeda M. Editorial comments on patch size and mechanics in the surgery for post-infarction ventricular septal perforation. Gen Thorac Cardiovasc Surg. 2013 Nov;61(11):612-3. doi: 10.1007/s11748-013-0309-2. Epub 2013 Aug 22. ２６１．Shiomi H, Morimoto T, Makiyama T, Ono K, Furukawa Y, Nakagawa Y, Kadota K, Onodera T, Takatsu Y, Mitsudo K, Kita T, Sakata R, Okabayashi H, Hanyu M, Komiya T, Yamazaki F, Nishiwaki N, Kimura T; CREDO-Kyoto Investigators. Evolution in practice patterns and long-term outcomes of coronary revascularization from bare-metal stent era to drug-eluting stent era in Japan. Am J Cardiol 2014;113(10):1652-9. ２６２．Haimoto H, Sasakabe T, Kawamura T, Umegaki H, Komeda M, Wakai K.
Three-graded stratification of carbohydrate restriction by level of baseline hemoglobin A1c for type 2 diabetes patients with a moderate low-carbohydrate diet. Nutr Metab (Lond). 2014;11:33. doi: 10.1186/1743-7075-11-33. eCollection 2014. ２６３. 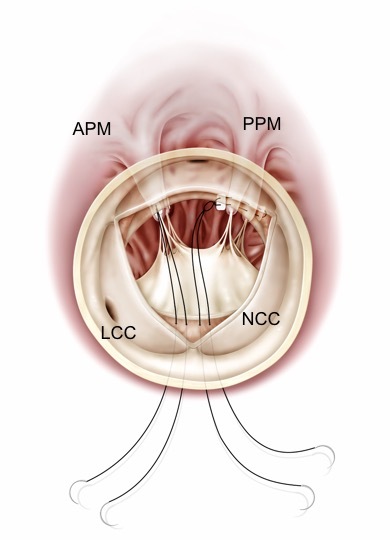 Komeda M, Ozawa T, Matsuhama M, Masuyama S. “Papillary heads optimization” for more geometric repair of functional mitral regurgitation toward ventricular treatment. Ann Cardiothorac Surg. 2015;4:393-6. 264. 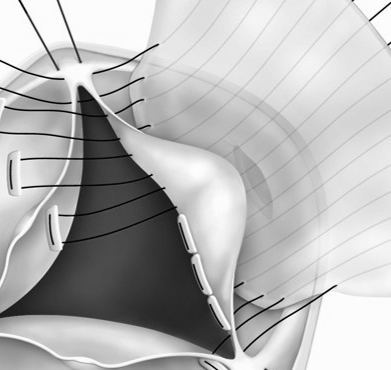 Komeda M. Toward more reliable repair of ruptured sinus of Valsalva. J Thorac Cardiovasc Surg. 2016;152:1442-1444.
by the infarct exclusion technique. J Thorac Cardiovasc Surg 2017;153:91-93. 267. Komeda M, Uchiyama H, Nakamura S, Kusunose T, Fujiwara S, Ujiie T. Epicardial 15-MH z Echocardiography for Effective Repair of Coronary Arteriovenous Fistula. Ann Thorac Surg. 2018;105:e41-e43. 268. Haimoto H, Watanabe S, Komeda M, Wakai K. The impact of carbohydrate intake and its sources on hemoglobin A1c levels in Japanese patients with type 2 diabetes not taking anti-diabetic medication. Diabetes Metab Syndr Obes. 2018;11:53-64. 269. 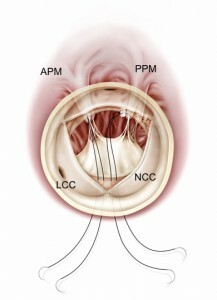 Komeda M, Uchiyama H, Fujiwara S, Ujiie T. “Frozen Apex” Repair of a Dilated Cardiomyopathy. Semin Thorac Cardiovasc Surg. 2018 Winter;30:406-411.